A “biological corridor” around the Golfo Dulce between Corcovado and Piedras Blancas National Parks connects key natural areas and forms a 300 square mile protected zone collectively known as "The Osa". The Osa is home to more than 375 species of birds, 124 species of mammals, 40 species of freshwater fish, approximately 8,000 species of insects, and 117 species of reptiles and amphibians. 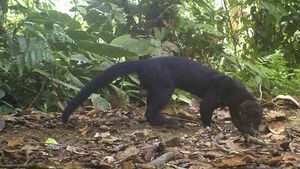 The species recorded in the Osa represent up to 50 percent of the species known to exist in Costa Rica. 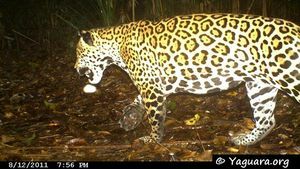 Most of these animals can be found in the forest surrounding Esquinas Rainforest Lodge. Esquinas is known as one of Costa Rica's hotspots for birdwatchers. Frequently we are visited by groups specialized on birdwatching from all arround the world. Piedras Blancas with its serveral endemic birdspecies, such as the Rusty Margined Flycatcher or the Black Cheeked Anttanager, is an excelent place to enlarge a birders lifelist. lists of IUCN und CITES. 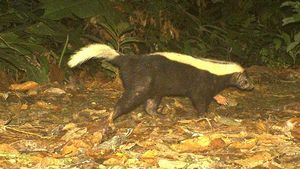 Austrian researchers studying the mammals of Piedras Blancas NP in 2003 and 2004 compiled a list of 96 species sighted or captured by camera traps. 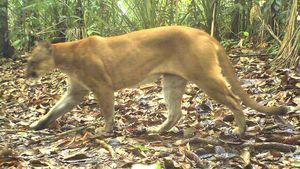 The fourteen species of Carnivores include Raccoons, Coati, Kinkajou, Olingo, Skunks, Grison, Tayra and five species of cats (Jaguar, Ocelot, Margay, Jaguarundi and Puma). 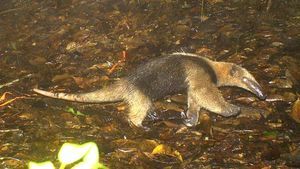 The Northern Tamandua, Armadillos, White-face Capuchin and Squirrel Monkeys have been sighted near or at Esquinas Lodge. Howler Monkeys are usually heard and seen on the Golfo Dulce coast. Five species of American Opossums have been recorded. 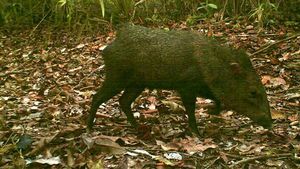 Rodents include the Agouti Paca, Collared Peccaries and several species of mice, squirrels and rats. With 53 different species, bats are the richest mammal group in Piedras Blancas NP. Costa Rica hosts a fascinating variety of frogs, salamanders, caecilians, lizards, snakes and turtles. The high herpetological diversity is based on the region´s exceptional geographic situation. 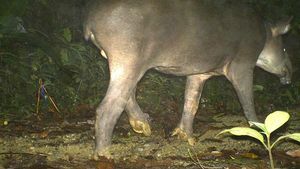 Scientists and students have undertaken studies in Piedras Blancas National Park, using La Gamba Field Station as a base for their investigative trips. They have produced a booklet with descriptions of 37 amphibian and 42 reptile species of the Esquinas rainforest. The nocturnal concert of frog calls at Esquinas Lodge is unforgettable. On our night hike, you are likely to encounter spectacularly colored frogs such as the red-eyed leaf frog or poison-arrow frogs, tree frogs, glass frogs, rain frogs and cane toads. Our record for amphibian and reptile sightings during one single night hike stands at 17 species! Basilisks and iguanas frequent the streams, anole lizards can be seen in the garden, and geckos appear at nighttime. The most common and most dangerous snake is the fer-de-lance, but coral snakes, vine snakes, boa constrictors, pit vipers and even the rare black-headed bushmaster are seen occasionally. Spectacled caimans and snapping turtles live in the ponds on our property.